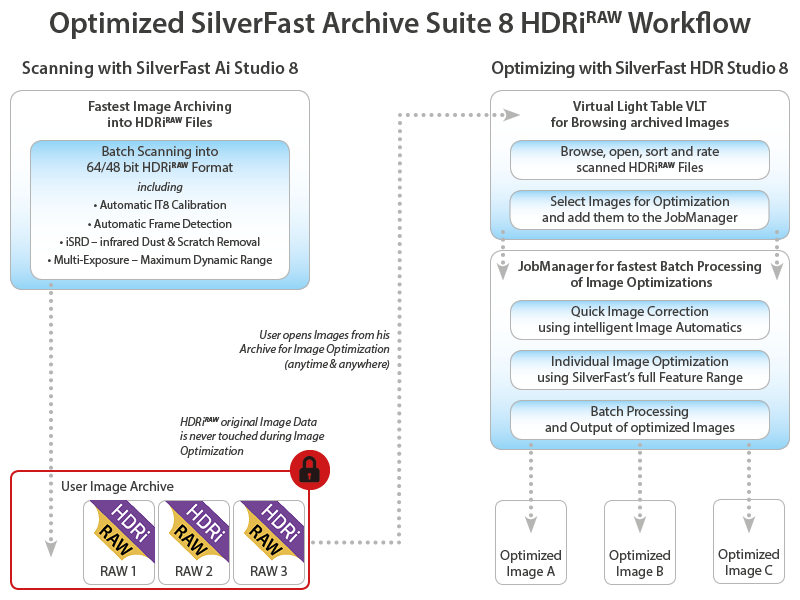 The new SilverFast HDRiRAW file format (version 8.5 or later) is the ideal archive format; it provides complete safety and flexibility to the user‘s "non-destructive workflow". The HDRiRAW files can be considered as a kind of "RAW format from analog data". In addition to the image data, color management information is included, where applicable also infrared data for dust and scratch removal and Negafix profiles for negatives. Optimized images are exported as TIFF files, while retaining the original image data. Following this way, various image optimizations can be made from the same starting point for comparison. An HDRiRAW file cannot be right or wrong, good or bad – HDRiRAW is always perfect. Using HDRiRAW you will always achieve an optimal basis for your image optimization – no matter whether you are professional or beginner. 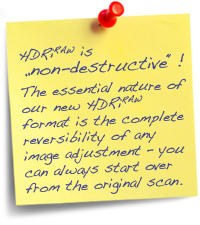 With HDRiRAW you receive image data, comparable to RAW data from analog originals. HDRiRAW is particularly suitable for quickly building up a large digital archive, but also as a good basis for the processing of individual images. You will always receive the best quality base data possible without having to be a specialist in scanning or digital imaging. If you scan photos, slides and negative film always into the HDRiRAW format, you are always on the safe side. Your analog originals are protected against loss and destruction, once you have digital copies including all capturable image data lying on your hard disk. Based on these data, which remain unchanged, you can perform image optimizations for various applications using SilverFast HDR (Studio). 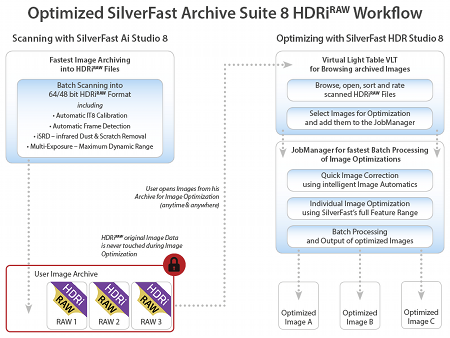 If you already have created hundreds or thousands of HDR(i) files with a previous SilverFast version, you may easily convert these and all other digital images into the HDRiRAW format using SilverFast HDR (Studio). Your digital originals will be protected and the optimized and processed images are exported as copies.